Lord of the Octagons: Return of the King! ALar’s Revised Top 10 MMA Rankings! I want to apologize to my loyal fellowship of readers (all six of you…) for not providing you with spot-on previews and witty commentary concerning the world of MMA recently. The lovely State of Connecticut has had me chained to a cubicle for the last two and a half months, and any blogging I would have done would not have been up to our high standards at Moai Martial Arts! I thought my return post should be something that would allow me to provide you with a broad scope on all of the movings and shakings of MMA in the last three months. Therefore I decided to update my Top 10 Rankings that I had originally posted last July. I had been waiting for all of the all of the UFC Champs to defend their belts before I revamped the rankings, but GSP and Silva’s nagging injuries derailed that plan. So without further ado, here are the rankings! I feel as though both of these guys earn a default spot on this list. Edgar lost a unanimous decision to new Lightweight Champ Benson Henderson at UFC 144 in Japan, while Condit won a unanimous decision (yawn…) against Nick Diaz at UFC 143 to win the Interim Welterweight title. With both fights being close decision victories, immediate rematches were discussed for both bouts. Edgar somehow got his, leapfrogging other young contenders like Anthony Pettis, or the winner of the upcoming Jim Miller/Nate Diaz bout. In the other corner, instead of seeing an anticipated Diaz/Condit II, Diaz promptly “retired” from MMA. 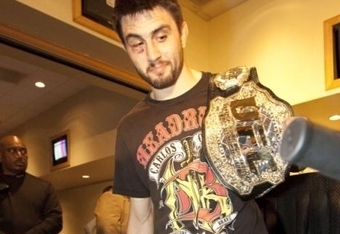 Then Mr. Condit decided to wait until current champ GSP came back from his knee injury to enter the Octagon again. These circumstances may not exactly be what fight fans want, but both of these guys being involved in their respective title picture earns them the first spot on our list. Cruz is currently the UFC Bantamweight Champ and a coaching against Urijah Faber on the new season of the Ultimate Fighter Live. The 15th season of the reality show has been re-worked and now includes a weekly live fight to conclude the hour-long broadcast. The new format is a fresh take on the aging vehicle for the UFC, and I am thoroughly enjoying this season so far. Cruz most recently defended his belt against Mighty Mouse Johnson in October and has a rubber match against Faber lined up after the TUF season ends. The Reem could certainly land much higher on this list after his Heavyweight Title fight with Junior Dos Santos at UFC 146 in May, but for now he lands at numero ocho. Reem ended the career of Brock Lesnar at UFC 141 with a vicious kick to the liver, earning him a title shot against Dos Santos. The 146 event will be the first Pay-Per-View to feature all Heavyweight fights and certainly promises to be a night of crazy action with Mir/Velasquez, Nelson/”Bigfoot”, and Hunt/Struve rounding out the card. The hot button topics of the 146 Main Event will be Overeem’s kickboxing and Dos Santos’ boxing. It is all but certain their bout will be a slugfest and if Reem can bring his dance moves to the Octagon, the scales may tip in his favor! 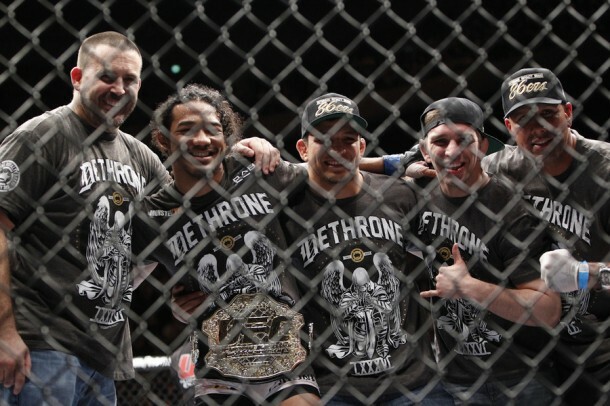 Benson Henderson continued his winning ways and dethroned long-time Lightweight Champ Frankie Edgar at UFC 144. Henderson’s size advantage and versatile attack certainly aided him on his way to UFC gold. I believe Henderson being champ is a step in the right direction for the 155 lb division. Though, I do not agree with the decision to give Edgar a rematch for the strap. I think Henderson won the fight outright and their are some seriously exciting match-ups that Dana White could book for Benson. Edgar was somewhat undersized for the weight class, and I believe a move down to 145 would suit him well; a fight with Jose Aldo would be downright amazing. JDS is one of the best pure boxers in the sport of MMA. His striking skills allowed him to end the undefeated run of Cain Velasquez and rise to the top of the Heavyweight division. Dos Santos is truly a likeable guy and worthy champion. 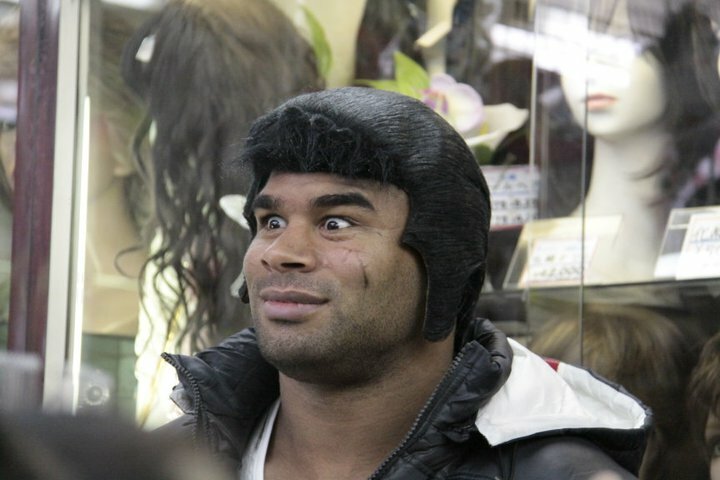 The Brazilian’s heavy hands better be ready for an all-out war against challenger Overeem in May. Look for the winner of that bout to have his hand raised as his opponent is taking a nap on the mat! Shogun/Hendo at UFC 139 is one of the classic bouts in the history of the sport. I cannot stress enough that that fight is required viewing for any MMA fan. Each combatant deservedly earned a spot in history with their gutsy performances that evening. As Hendo emerged the victor, he was assured a title shot by Dana White. The 41-year-old stated that he would be willing to take a shot at either Jon Jones’ or Anderson Silva’s belts. Even though other bookings have been offered to Henderson as he waits in line for a chance at UFC gold; the aging wrestler has stood his ground and assured UFC brass that he only wants to fight for a title. I understand Dan’s stance here; he isn’t getting any younger and if a loss derailed his shot at a UFC championship, he may never get another one. If Jon Jones gets through Rashad Evans as easily as I think he will at UFC 146, I expect Hendo to take on Jones for the title in Late Summer/Early Fall. Fourteen. That is how many fights Jose Aldo has won in a row. 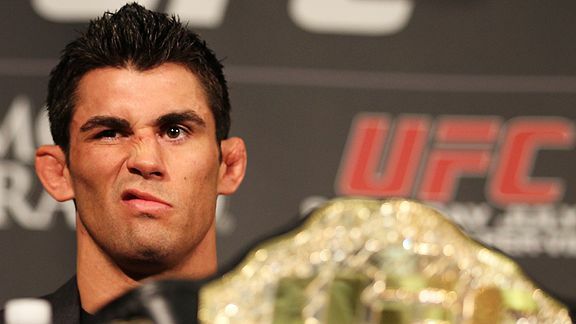 He has defended his Featherweight title, whether in the WEC or UFC, five times now and continues to grow as a fighter. 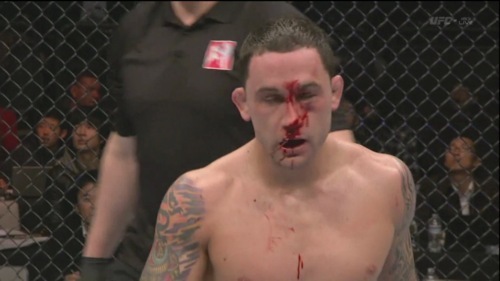 He used an absolute knee from hell to KO Chad Mendes in the waning seconds of the first round at UFC 142 in Brazil. That devastating knee lead to one of the greatest celebrations from a figher that I can remember. Aldo has cleaned out his division and there are very few interesting fights for him at 145 lbs. To me, a lowly MMA blogger, the best option for Aldo is to campaign for Frankie Edgar to drop down and take a shot at the Brazilian. Though that move will have to wait until after Bendo/Edgar II. Aldo may face off against Hatsu Hioki or the winner of Poirer/”Korean Zombie” in the meantime, but many MMA fans are salivating for a possible Aldo/Edgar booking. The guy is simply changing the game. He is an absolute athletic beast that has very few weaknesses. If you think you can beat him striking (Rampage, Shogun, and Lyoto), he will use his reach and awkward style to keep you at bay. If you think you can take him on the ground (Bader and Hamill), he will use his wrestling base to stay on top of you and reign elbows down on your unsuspecting face. Jones upcoming matchup with Rashad Evans should prove to very interesting. Both are strong wrestlers with highly evolved striking techniques. Though the interesting part comes from that fact that both have trained at Greg Jackson’s camp in New Mexico and have to credit much of their success to the balding submission wrestling guru. After originally bowing out of any involvement in the grudge match, Jackson decided that he will corner Jones in the fight. I expect this to be a great asset to Jones in Atlanta at 146 and expect him to use a combination of superior athleticism and unpredictable striking to retain his belt. Hendo next! ALar said I'm Number One!!!!!!!! The Spider is simply the Michael Jordan of the sport. He really has no comparison. Nagging injuries have kept Silva out of the ring since decimating Yushin Okami and avenging an earlier loss to the Japanese fighter. Silva recently signed on for a rematch with loudmouth and liar Chael Sonnen to take place in a soccer stadium in Brazil this summer. I really, really despise Sonnen and his antics. I don’t think any of his hysterics or rants have any place in MMA and are detrimental to the sport and the image that Zuffa has worked very hard to build. 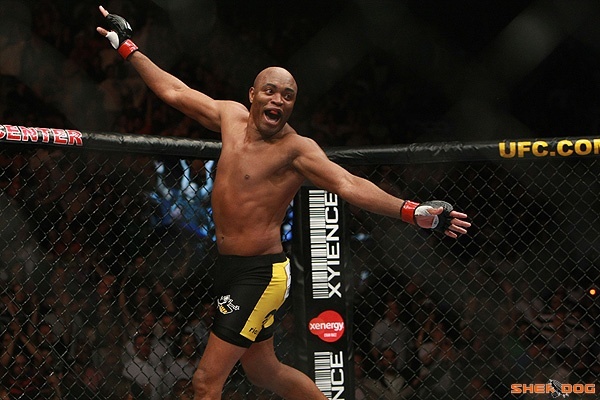 But do not let that take away from the greatness that Anderson Silva has worked so hard to achieve. 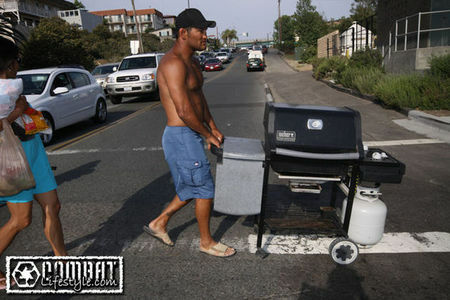 Silva is getting up there in age, so every time he enters the cage fight fans should soak in what they are watching. His next few bouts will surely provide a fitting end to the story of one of the greatest martial artists of our era. I believe Silva will absolutely destroy Sonnen in Brazil with another classic performance (I’m thinking a cross between the head movement/feints from the Forrest fight and a vicious knockout akin to the Belfort fight) from the Spider and Anderson will put an end to Chael’s undeserved fifteen minutes of fame. Feel free to express any opinions in the comment section! Is GSP too low? Did I leave someone off the list? Let us know! This entry was posted in Commentary, Entertainment, MMA and tagged Anderson Silva, Benson Henderson, Frankie Edgar, Georges St-Pierre, Junior Dos Santos, P4P MMA, The Reem, UFC, Ultimate Fighting Championship, Urijah Faber. Bookmark the permalink. 5 Responses to Lord of the Octagons: Return of the King! I am sure you have more than 6 loyal readers, lol. Good choice for the number 1 spot. The spider is an amazing athlete. Hey, ALar, what’s up with the Rheem now? Too much horse meat?